Once configured, all activity on the farm for that particular entity, depending on the logging level set, is logged in the SharePoint ULS logs. As mentioned in my last post, I said that I would create a simple PowerShell script that will extract the Project Server 2013 log level manager logs into a custom file to make it easier for viewing. $Date = get-date -format "yyyyMMdd"
Whilst this script is aimed at extracting the Project Server log level manager logs, it could also be used to extract logs for other SharePoint applications. For example, you might have an issue with Excel Services and may want all of the Excel Services logs into a separate file while you investigate the issue. There is new feature in Project Server 2013 called the Log Level Manager that enables you to track certain entities such as Projects, Resources and Tasks etc. Once configured, all activity on the farm for that particular entity, depending on the logging level set, is logged in the SharePoint ULS logs. Notice the refresh command, this is required to update the cached list of entities to watch. 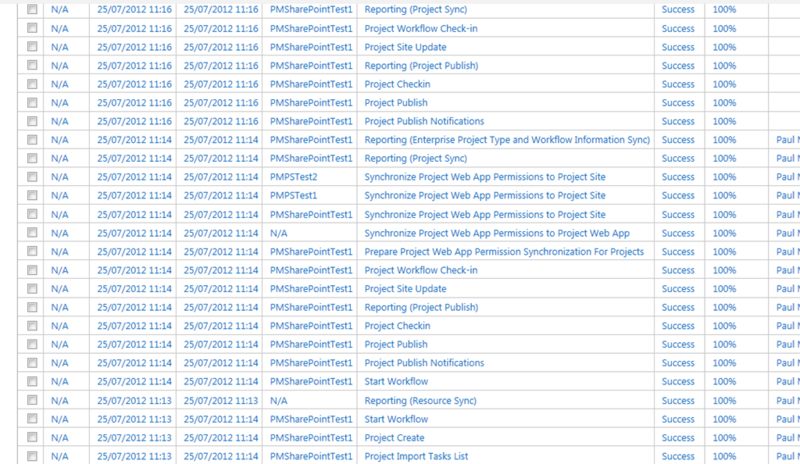 The SharePoint ULS logs aren’t the nicest of log files to look through at the best of times, never mind trying to look for logs regarding the specific Project Server entities that you are tracking. I will create a simple PowerShell script to take all of the log level manager entries from the ULS logs and place these into a new text file/s. 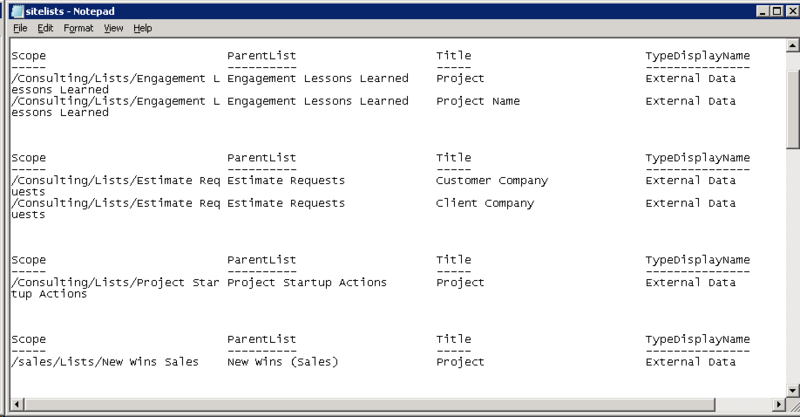 This will enable you to view all of the Project Server log level manager entries without the other SharePoint entries. 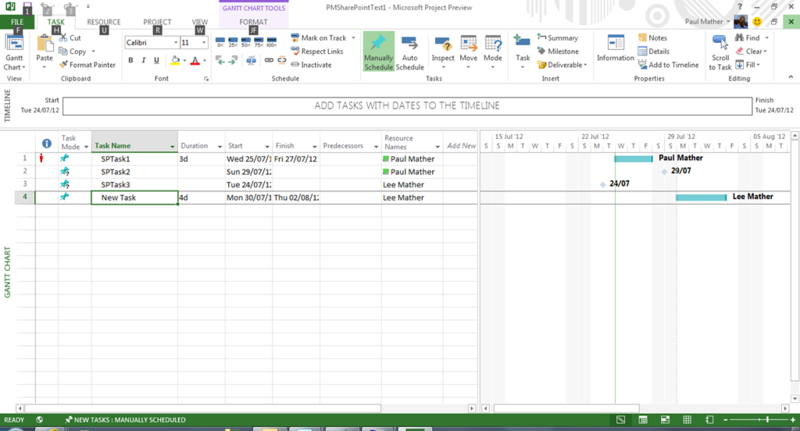 The log level manager is very useful for auditing / tracking activity for a certain project, task or timesheet etc. 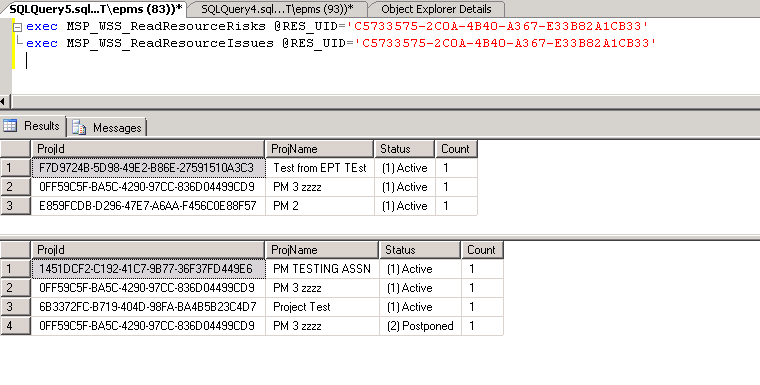 It would not be recommended to enable verbose logging for all entities in Project Server though! 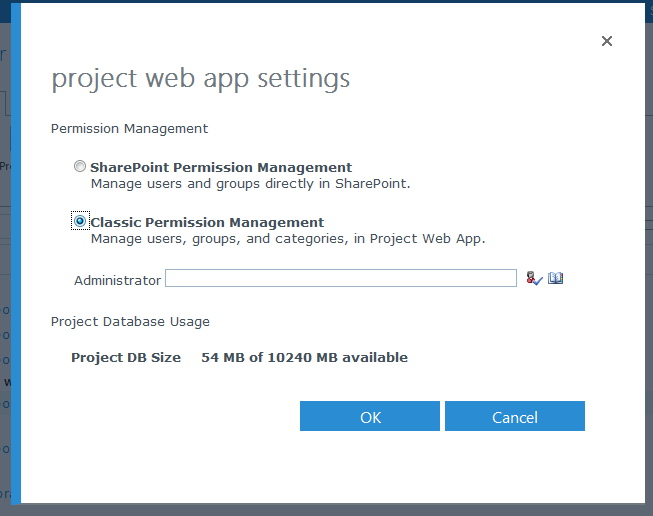 The SharePoint 2013 Project Site template by default has a Task list so these will be available to add to Project Server, if you add the Task list to other SharePoint 2013 sites in the PWA site collection these will also be available to add to Project Server 2013. For the purpose of this post I have a couple of test projects that are managed by Project Server, these are called PMPSTest1 and PMPSTest2. 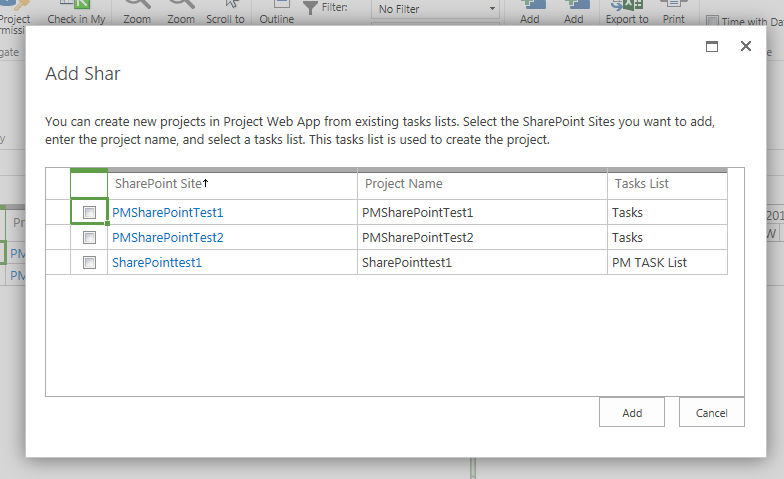 I also have 2 SharePoint Project Sites that contain tasks ready to be added to Project Server, these are called PMSharePointTest1 and PMSharePointTest2. 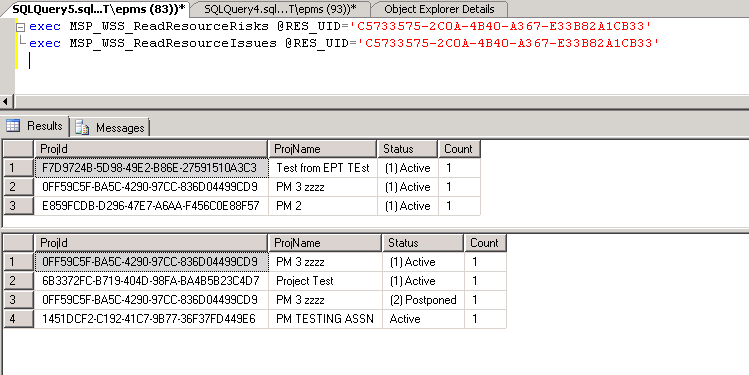 Firstly lets take a look at the project centre, here we can see the two Project Server projects as mentioned above. 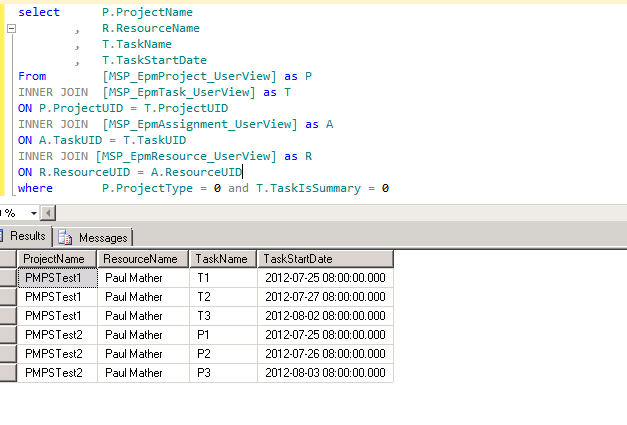 Notice one task is assigned to Lee Mather – he is not currently a resource in Project Server. Notice the message stating that this project is managed by Project Server Project Web App. 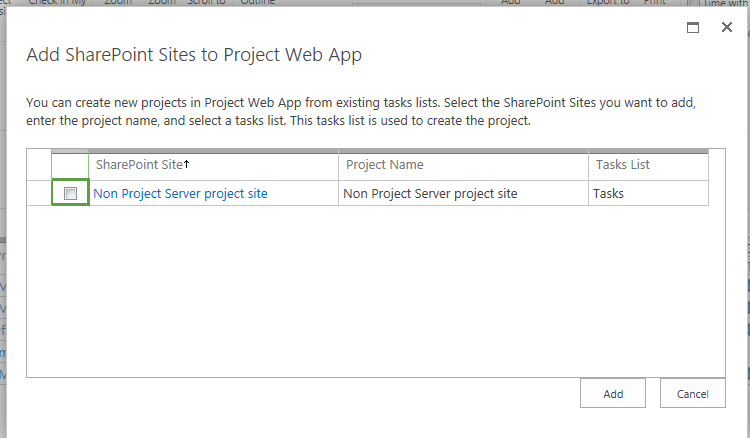 Notice the three SharePoint sites, two are created from the project site template the other site is a team site with the Task list added. As this is not an enterprise Project Server project you cannot edit the tasks from the PDP. 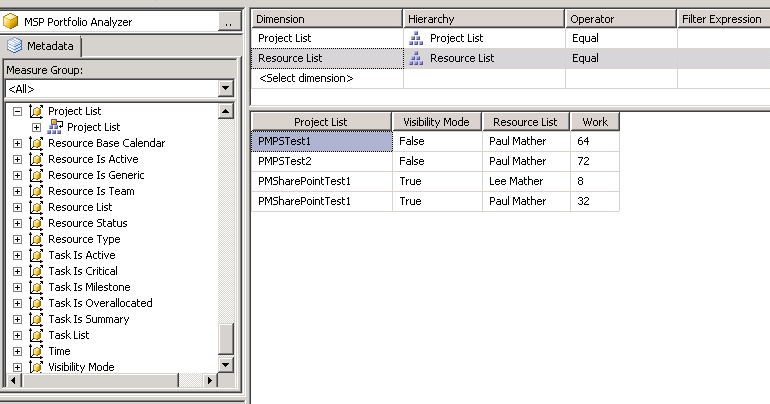 Notice the ProjectVisibilityMode column, for the SharePoint project site the value is 1, for enterprise projects the value is 0. The SharePoint task list can be removed from Project Server using the normal delete enterprise object functionality – if you want to keep the SharePoint site do not check the box “Delete the connected SharePoint sites”! After clicking Activate, the project will appear and function as a normal enterprise Project Server project and set the SharePoint task list to read only. 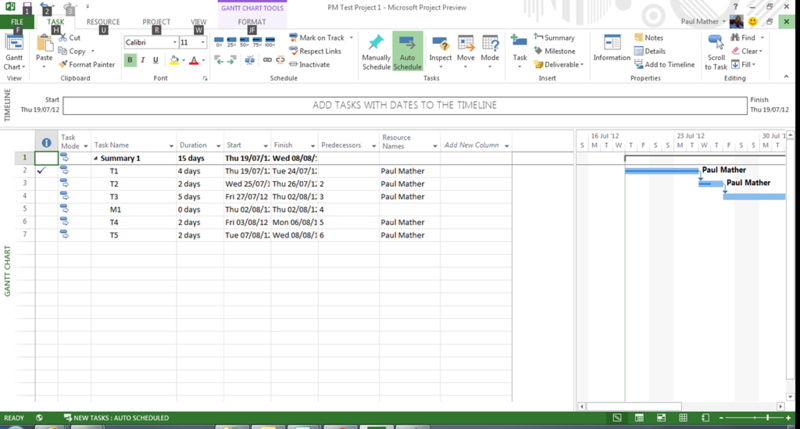 Deactivating will set the project back to a SharePoint task list managed project. 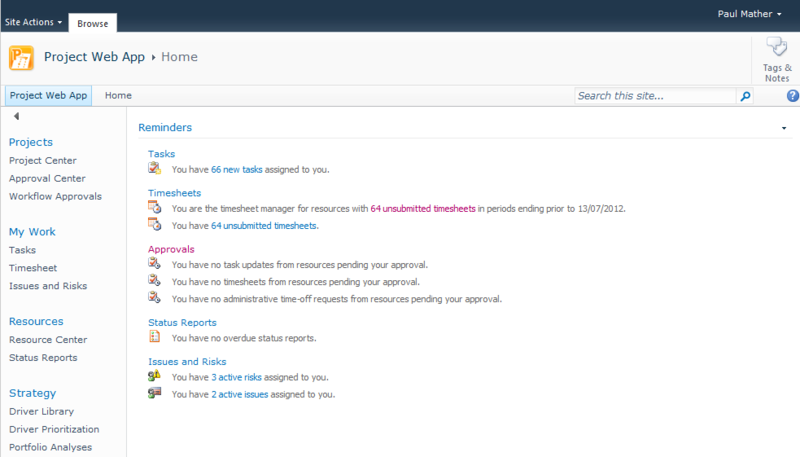 Projects created in Project Server can also be deactivated and managed via the Task list. 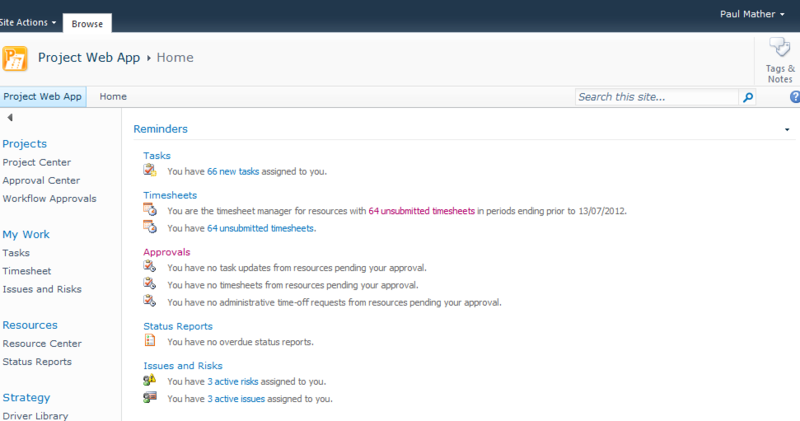 This new functionality is great for organisations that want the visibility of lightweight projects in Project Server. This enables both types of projects, enterprise projects and task lists, to be visible in one central location and also make use of the full reporting capability of Project Server. Check the Classic permission management radio button, specify an administrator and click OK. Please note, switching between permission modes deletes all security related settings. 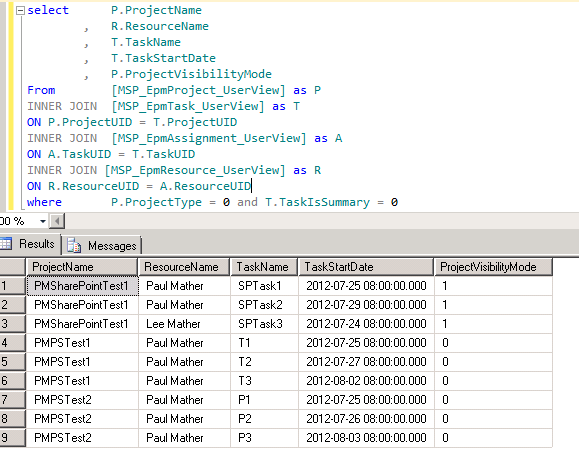 In this post I will give a brief intro to the new version of Project Server 2013. I will cover the look and feel and highlight some of the new features. The screen shots from the post are from the Project online version as I haven’t got around to installing the on-premise version yet. 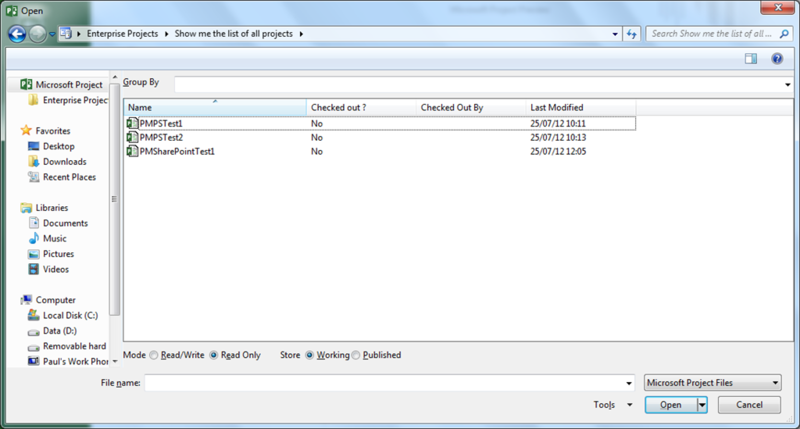 For this example I have created a simple example project called PM Test Project 1. This page looks the same as it did in 2010. When you click this button a new window will pop up populated with a list of the SharePoint sites based on the SharePoint Project Site template, below you can see the example site I created on the PWA site collection. 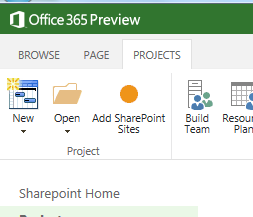 Once these SharePoint project sites are added they are visible in Project server but I will create a separate post for this soon! 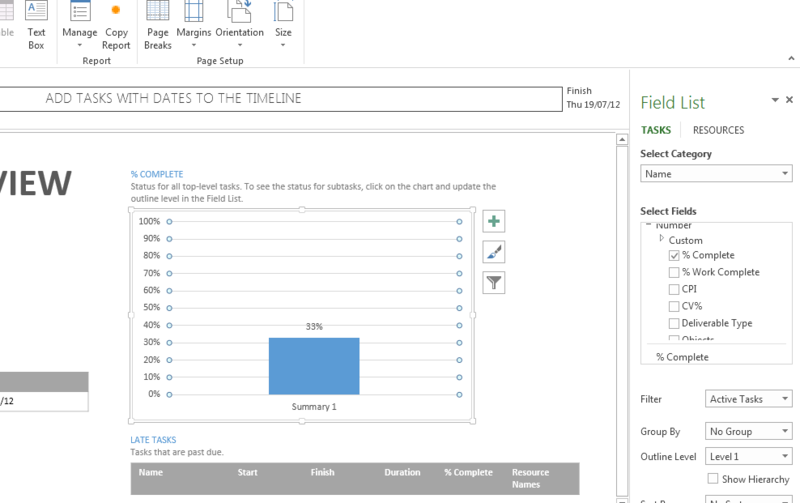 The report is editable, with new charts and tables etc. 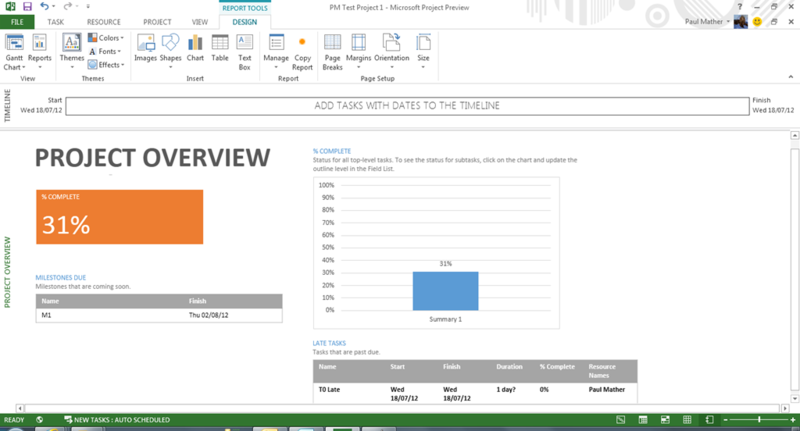 These are just a few examples of the new features in Project Server 2013 and Project 2013. I will be posting more details in the coming weeks. The Project Server reminders web part contains key information relating to all projects that the logged on user is involved in. This includes new task assignments, timesheet information, pending approvals and active issues and risks assigned to the logged on user. This post focuses on the issues and risks count as I have seen a number of queries relating to the issues and risks not showing on the reminders web part. As you can see I have 3 risks and 4 issues assigned to me. Notice on the PWA reminders web part it shows 3 active risks which matches the SQL dataset and 2 active issues which doesn’t match the SQL dataset. 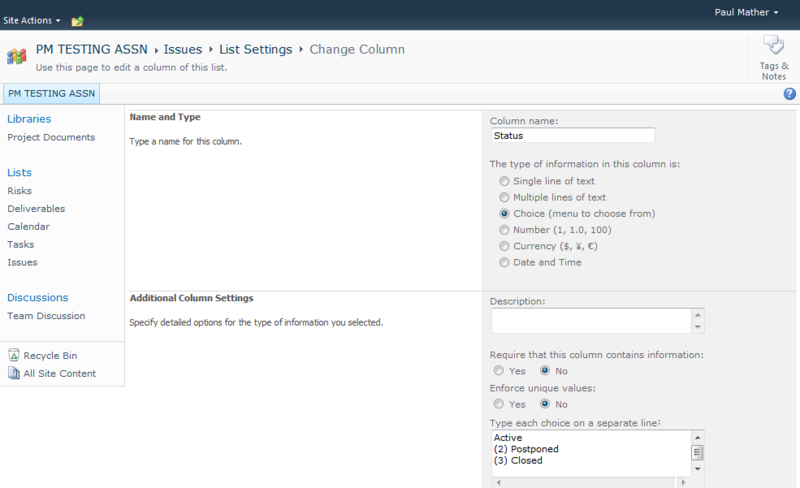 The issues SQL dataset returns four issues, 3 of which are active in the lists and one which is postponed. For active issues and risks to appear on the reminders web part it is key that the Status value is (1) Active, notice that the 4th issue has a value of Active without the (1). 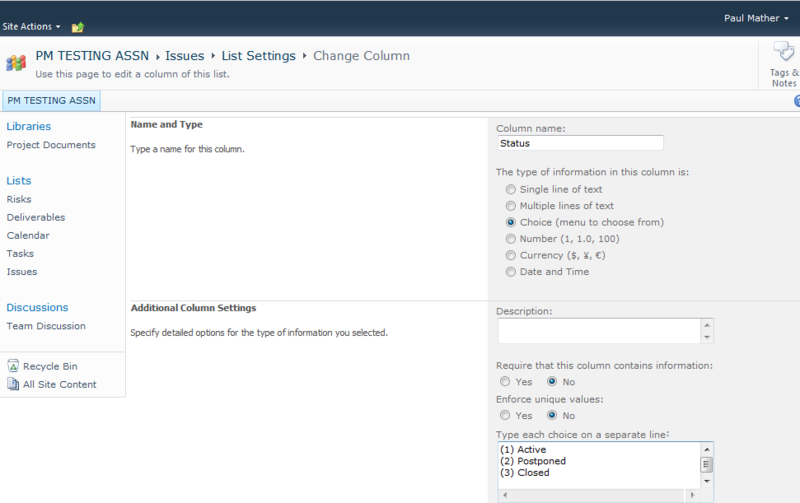 If I change the issue list settings for the PM Testing Assn project site so that the Status choice value includes (1) Active then edit the item, the reminders web part will correctly show 3 active issues. Recently we were carrying out an internal review of our SharePoint 2010 intranet system at CPS and needed to see where the BCS applications were used in the site collection on all sites. Rather than clicking on the list or library settings for each list / library to check for the External Data type on the column settings, I wrote a simple PowerShell script to check this. To run the script, update the $siteCollection variable with the correct site collection URL and specify the column type, in our case this was External Data.